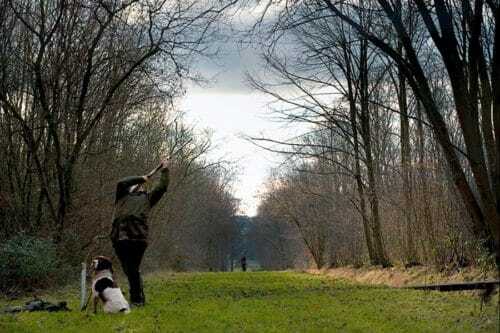 The Heveningham Hall Shoot is run over the three Estates of Heveningham Hall, Sibton Park and Cockfield Hall. Under the direction of the 3rd Lord Huntingfield, Heveningham was one of the first Partridge shoots, recording some of the astonishing bags of the 19th Century. Frequent guests included the best shots of the day including Lord Walsingham, Lord de Grey and the Maharajah Duleep Singh, who along with Lord Huntingfield still hold some of the record bags for both driven and walked up game. Set in Capability Brown parkland and surrounded by over 5500 acres of rolling Suffolk countryside, Heveningham Hall is in the ideal location for an outstanding shoot providing exceptional sport, with driven game capable of testing the most accomplished gun. Two drives before Elevenses at the Bridge over-looking the Capability Brown lakes and two after before stopping for a two-course lunch around 1pm and then going back out for the afternoon drive. We then return for afternoon tea and to meet the Gamekeeper. We can Shoot up to nine Guns on the field. Transportation and full hospitality provided. We can make arrangements for Guns, Cartridges and Loaders if needs be. We can cater for Full teams and single guns. We offer days from 250 to 400 birds priced at £35.00 + VAT per bird. Furthermore we can also offer our Guns overnight accommodation at Wilderness a unique collection of manors, farmhouses and country cottages surrounding Sibton Park.